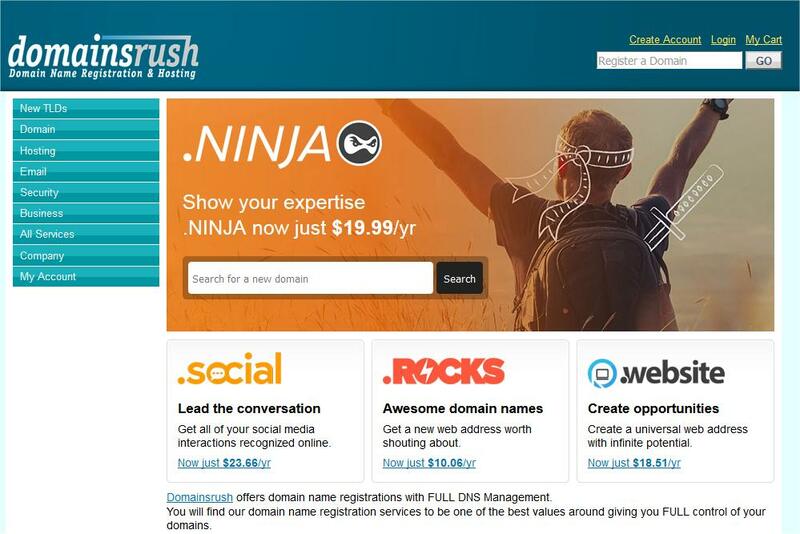 Domainsrush primarily offer domain name registrations with all your web hosting needs included. If you need to register extra domains to map to your existing account/s or redirects to other domains or even the creation of custom nameservers (ns1.yourdomain.com) Then we also offer value pricing on domain registrations. Our UK domains are £9.99 per year and the top 5 Global domains are £14.99 per year. If you need a custom web hosting solution with your domain registration, just let us know your requirements. We are flexible. 10Mb Web Space – Enough to publish a few HTML pages. We can provide FREE Private or Custom Name Servers (nameservers) with your domain registrations. 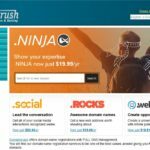 Domainsrush are resellers for ENOM. Being partnered with ENOM enables us to offer a vast range of free services with every domain registration. We have a Domain Management Website at http://domainrush.biz Where you can search for a multitude of domain extensions with more being added all the time. You can sign up for an account on our Domain Management Website and manage all your domain registrations in one place. *Redemption includes one year renewal. PayPal Domain Registration – Search For Your Ideal Domain TODAY!